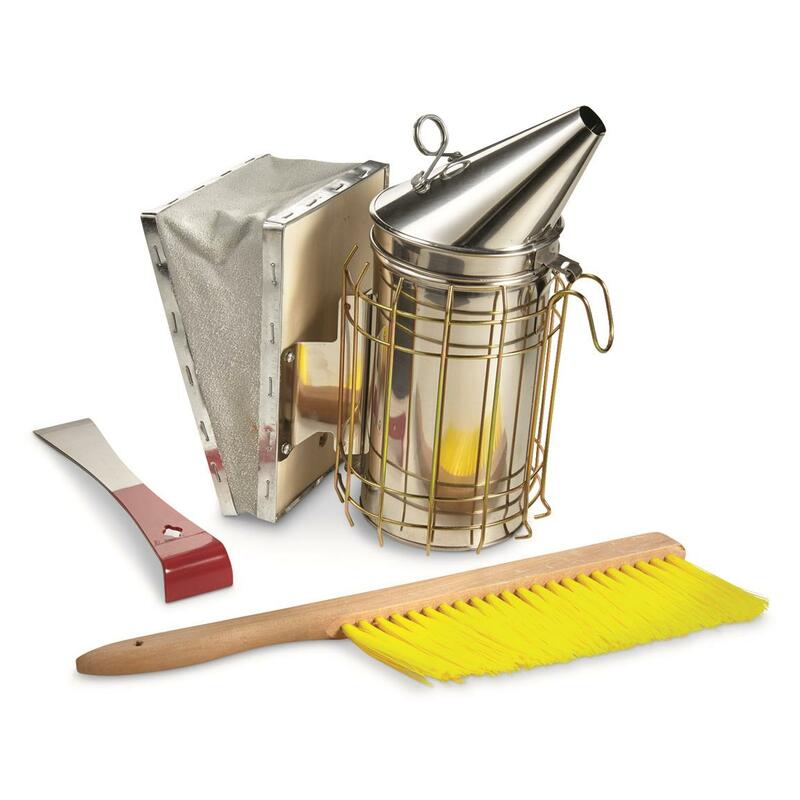 Essential tools for the efficient Beekeeper. Safely and successfully harvest honey with the CASTLECREEK® Beekeeping Accessory Set. 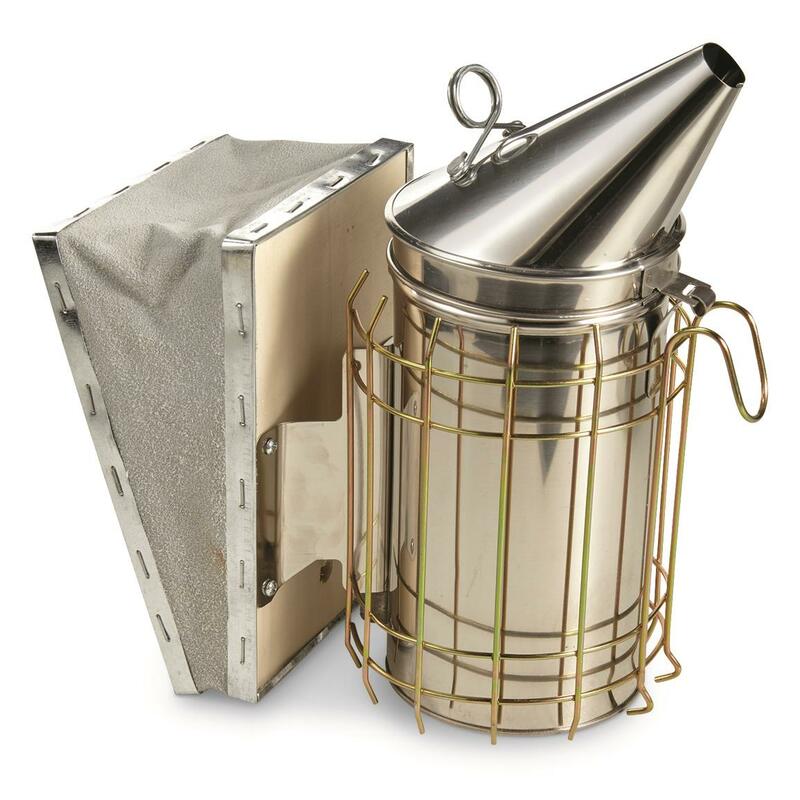 Use the Bee Smoker to calm swarming bees and keep them docile while you remove the frames and check on your colony. The Hive Tool will be your go-to for opening the hive and prying apart the frames. And the brush has soft bristles that won't injure the bees while you gently sweep them off of the frames. Hive Tool: 9.5"l. x 1.75"w. x 1.37"h.
Bee Brush: 14"l. x 3.5"w. x 0.5"h.
Bee Smoker: 8.5"l. x 5.5"w. x 11"h.